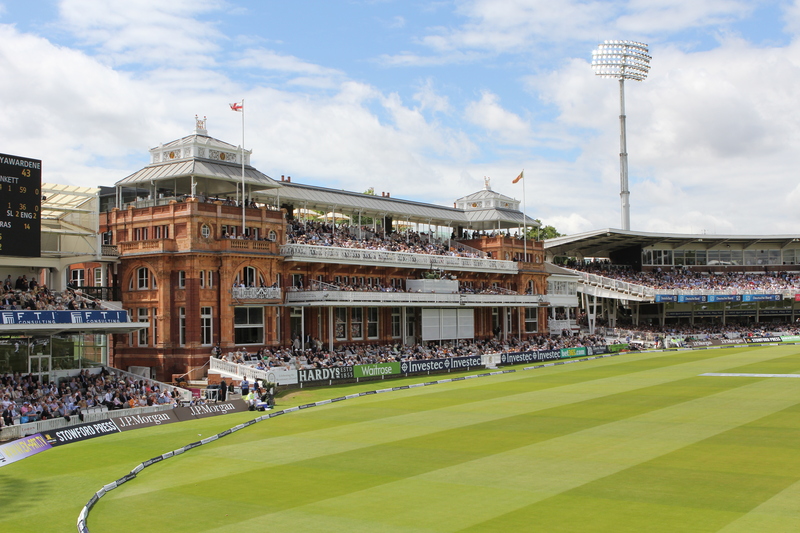 Lord’s Cricket Ground, owned by Marylebone Cricket Club, will bring a taste of South Africa to its cricket experience this summer with the opening of the exclusive Nursery Lodge, a one-of-a-kind hospitality package. The Nursery Lodge is a brand new offering for 2017 and will be available for the first time for the hotly anticipated England v South Africa Investec Test Match which is taking place from 6th to 10th July. The Nursery Lodge hospitality experience will be available on the first, second and third days of the England v South Africa Investec Test Match. Located on the Nursery Ground, it offers up-close-and-personal views of players from both teams as they warm up before the match and during the day as they practise in the nets before taking to the field. The open-sided structure has been designed to emulate a South African lodge, providing the perfect setting in warm summer months in which to enjoy sumptuous hospitality and an exceptional experience at the Home of Cricket. The Lodge will enable guests to mingle with former international players, before transferring to the Grand Stand where their premium, highly sought-after seats are located. Within the Nursery Lodge, guests will be treated to a South African themed spread, which includes breakfast, a two-course rolling buffet lunch and the famous Lord’s Afternoon Tea, in addition to complimentary drinks (including Champagne) throughout the day. The menu, will include: mouth-watering chilli sugar-glazed aged rib of beef; delectable salt-crusted sweet potato rostis; aromatic peri peri chicken salad; and sweet maple curd custard with hazelnut cookies. Nursery Lodge hospitality packages start from £499 + VAT per person and are suitable for all group sizes. For more information, including a range of other hospitality packages, please contact the Hospitality Sales Team at Lord’s on 020 7616 8598 or hospitality@mcc.org.uk. MCC is the world’s most active cricket club, the owner of Lord’s Ground and the guardian of the Laws and Spirit of the game. Founded in 1787, it issued the first code of Laws in 1788 and moved to its current home in 1814. There are 24,000 full and Associate Members of MCC. Lord’s has thirteen unique spaces which can host meetings, conferences, receptions, dinners and weddings for up to 1,000 people. From the grandeur of the Long Room in the Grade II* listed Pavilion, to the modernity and style of the J.P. Morgan Media Centre, the venue boasts a variety of spaces, many with great views of the pitch. The venue attracts clients from a variety of industry sectors including corporates, associations and agencies. This press release was distributed by ResponseSource Press Release Wire on behalf of Mexia Communications in the following categories: Leisure & Hobbies, Food & Drink, Travel, for more information visit https://pressreleasewire.responsesource.com/about.